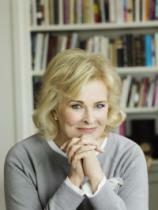 “Candice Bergen is unflinchingly honest” (The Washington Post), and in A FINE ROMANCE she describes her first marriage at age 34 to famous French director Louis Malle; her overpowering love for her daughter, Chloe; the unleashing of her inner comic with "Murphy Brown"; her trauma over Malle’s death; her joy at finding new love; and her pride at watching Chloe blossom. In her decidedly nontraditional marriage to the insatiably curious Louis, Bergen takes readers on world travels to the sets where each made films. Pregnant with Chloe at age 39, this mature primigravida also recounts a journey through motherhood that includes plundering the Warner Bros. costume closets for Halloween getups and never leaving her ever-expanding menagerie out of the fun. She offers priceless, behind-the-scenes looks at "Murphy Brown," from caterwauling with Aretha Franklin to the surreal experience of becoming headline news when Dan Quayle took exception to her character becoming a single mother. Bergen tackles familiar rites of passage with moving honesty: the rigors of caring for a spouse in his final illness, getting older, and falling in love again after she was tricked into a blind date. 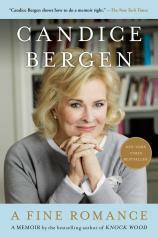 By the time the last page is turned, “we’re all likely to be wishing Bergen herself --- funny, insightful, self-deprecating, flawed (and not especially concerned about that), and slugging her way through her older years with bemused determination --- was living next door” (USA TODAY).